What are the best mountaineering boots on the market. I have been lucky enough to climb Mount Everest, Cho Oyu, Ama Dablam, Island and Mera peak and lead lots of treks and climbs around the world on a regular basis. I have used a range of mountaineering boots and here are my favorite mountaineering boots, that can use used on a range of different mountaineering trips around the world. None of the below boots would work on an 8,000m peak. When you finished on this page check out our the trekking boots you might as you approach your chosen mountain. Or just CONTACT US and chat about the best gear for your chosen adventure. 1). My favorite mountaineering boots at the moment are the La Sportiva G2SM mountaineering boots. Super light and really warm. I always prefer the inner boot system and these boots can be used on 90% of the mountaineering trips I am currently undertaking. They are versatile for climbing in a wide range of conditions and terrain. 2). I really like the La Sportiva Baruntse mountaineering boots. They are great boot for Island peak, Mt. Blanc and other Alpine climbs. They are a little bulky and heavier than the G2 SM. 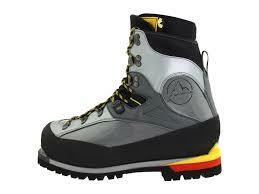 They have the inner boots which I really like and they are warm and great option for your mountaineering adventures. 3). 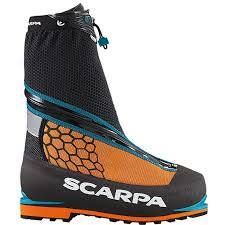 I see a lot of people using the Scarpa Phantom 6000 mountaineering boots and they work really well in a wide range of conditions and a very versatile mountaineering boot that can be used for in a wide range of environments. I have seen some people have issues with the fit of this boot. 4). We have a lot of people using the Mammut Norwand Mountaineering boots on our Island and Mera peak climbs. People are also using them on our Elbrus and Aconcagua climbs. I have not used these boots but I have never seen any have any issues with these mountaineering boots. 5). 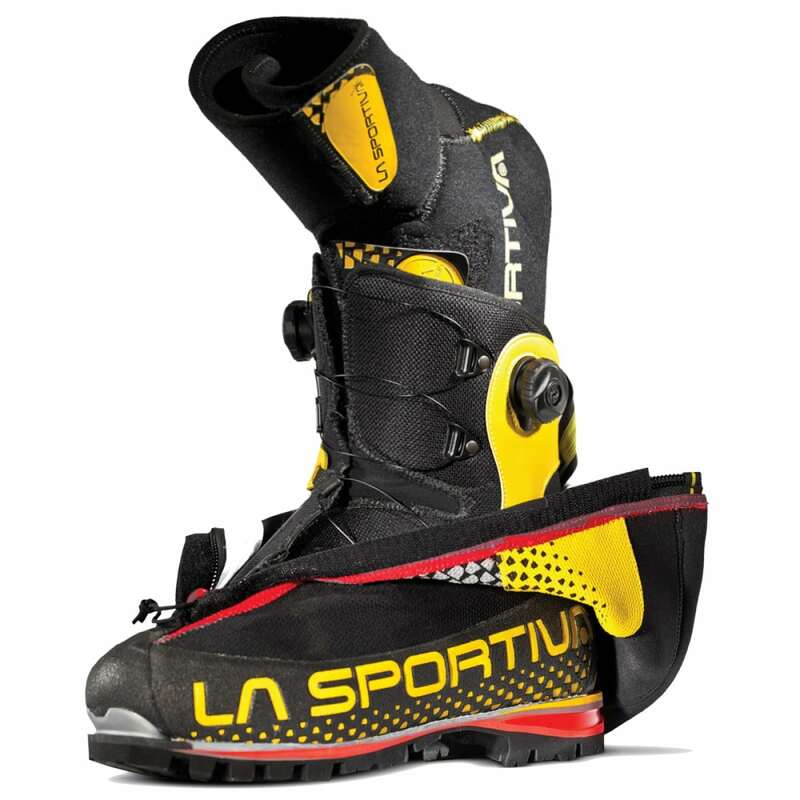 Most people are showing up on our Himalayan climbs with these La Sportiva Nepal Evo mountaineering boots. 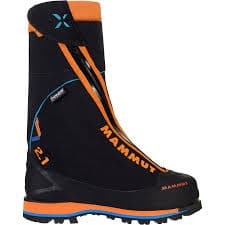 They are not as warm as the double boots but a great option for Island peak, Lobuche peak and Mera peak in warmer months. 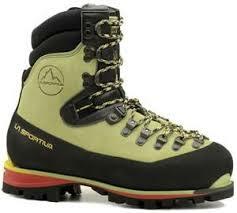 They are a great overall mountaineering boot that can be used in Scotland and the Alps. 6). These mountaineering boots are more for Alpine climbs. 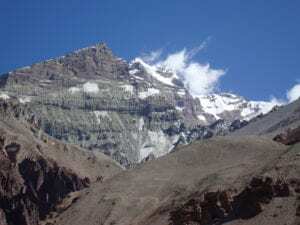 They can also be used in Scotland and Island peak and other Himalayan peaks in warmest months. You would want to have a lot of mountaineering experience to know you that these boots will work for you in colder weather. 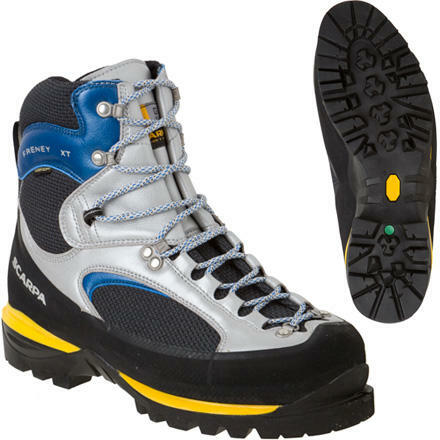 This boot is a Scarpa Freney mountaineering boot. So there is never a one sized fits all. You also need to think about future climbs, trips and adventures when buying your mountaineering boots. You want one boot that will last a lifetime. These boots are expensive we take your time making the right decision. CONTACT US and we can help you make the best decision. READ REVIEWS.